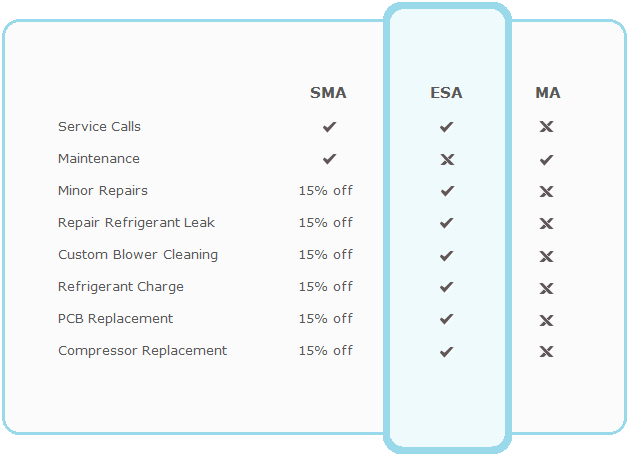 12-year Extended Service Agreement (ESA-12Y) is the same as 5-year ESA, except for it can be purchased within the first 2 years after ductless system installation. It is retroactive agreement, means if you purchased on the second year of equipment life, it will have only 10 remaining years of useful coverage. For more information on Service Agreements for ductless systems please call 800 590-1557, Mon-Fri 8AM-5PM, we’ll be happy to help.